Landscaping, Maintenance and Garden Design Services . : Hills Landscapes (NE) Ltd :. 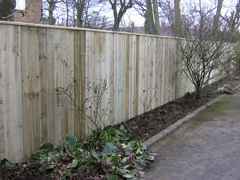 We carry out all types of hard and soft domestic and commercial landscaping and maintenance. We can provide a full garden design service to include patio, decking, new lawn, pond, water feature, brickwork, fencing, soil analysis and planting. We can lay all types of paving whether it is decorative, block or utility paving. We lay aggregates on a weed barrier membrane. We can lay a utility or block paving driveway including inserting a drain gulley if required. We can erect a panel or board fence, trellis and timber structures such as sheds, pergolas and arbours using tanalised timber. We specialise in laying Rolawn turf which we lay on loam or screened top-soil. We can install free standing water features, water falls, ponds and fountains including installing lights or building brickwork if required. We can erect low or high level decking with steps and balustrades using tanalised timber. To help with a water logged garden we can install a herringbone design drainage system. We constructed a landscape display at Jewsons, St Lawrence Road, Newcastle, which shows a range of landscape materials available. It includes a sample of decking, a paved circle with squaring off kit and different types of aggregates, paving, edging and bricks. We maintain properties for several private clients as well as maintaining Care Homes, blocks of flats, Retirement Homes and Industrial Estates for our commercial clients. 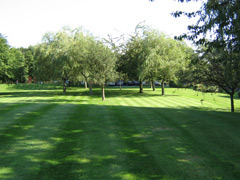 We provide all year round lawn maintenance such as aeration, scarification, lawn feeding and weed elimination. We can prune and shape trees and hedges or we can fell to ground level if required. 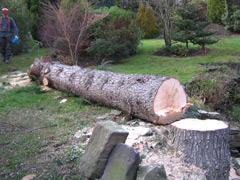 We can also remove tree stumps.